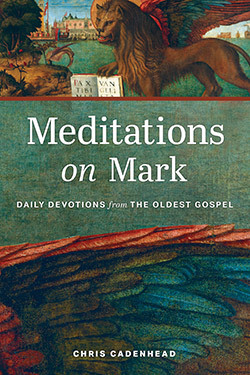 Readers searching for a fresh encounter with Scripture can delve into Meditations on Mark, a collection of daily devotions intended to guide the reader through the book of Mark, the oldest Gospel and the first known effort to summarize and proclaim the life and ministry of Jesus. Each entry begins with a Scripture reference that picks up where the previous reading concluded. The reader is encouraged first to read the passage from the Bible, then to read Chris Cadenhead’s reflection on that passage. A prayer concludes each devotion. Taken together, the Scripture, response, and prayer will guide readers’ own meditations as they listen and respond to God’s voice that comes to us through the Bible. Chris Cadenhead lives in Roanoke, Virginia, where he serves as the senior pastor of Bonsack Baptist Church. He previously served churches in North Carolina, South Carolina, and Florida. He and his wife, Heather, who is also ordained to the ministry, have two daughters, Ashlyn and Addie. When they are not engaged in life with their church family, they enjoy their daughters’ sporting events, spending time on the rivers and trails of the Blue Ridge mountains, and chasing their golden retriever around the back yard. I am one of those friends, colleagues, and social media connections who followed Chris’s devotional thoughts on Mark. Actually, I began to eagerly anticipate them. They struck a nerve for me with their simplicity, freshness, and transparency. Chris is a gifted writer, and I am so thankful that he has finally published Meditations on Mark. As a superb story teller himself, Chris, in his Meditations on Mark, has captured the essence of Mark’s stories about Jesus. Reading these devotionals one can almost hear the still, small voice of God’s Spirit. 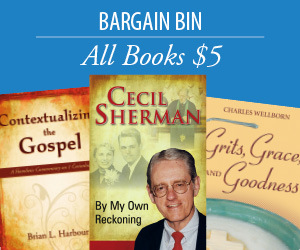 Readers are challenged and inspired to allow the life of Jesus to shape their own lives. If I were to use one-word comments about Meditations on Mark, they would be words like insightful and inspirational, touching and timely.